Looking for a new or pre-owned Honda vehicle? Visit our Honda dealership in Fresno, CA. 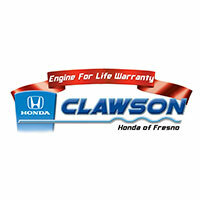 At Clawson Honda of Fresno, our customers are our priority. Your full satisfaction is what we seek and are willing to do what it takes to earn your trust and business. Our Relationship Development Director, Reno Zeropli, is on staff to guarantee your experience at Clawson Honda exceeds expectations. At Clawson Honda of Fresno, our customers are our priority. Every day we work as hard as we can to ensure your satisfaction and create a pleasant atmosphere. We love our customers and will go above and beyond to earn the respect and loyalty of everyone who comes through our doors. We are excited to help pair you with your next Honda vehicle or service the one that you already own. We’re open seven days a week and are excited to meet you! Looking for more reasons to buy from Clawson Honda? We don’t define ourselves by what we do, but WHY we do it. We believe in everything we do! Our dealership team shares a common set of values and beliefs that are customer focused. We can’t guarantee we will always do everything right, but we can guarantee we will always make it right. Our customer focused experiences develop lifelong vehicle purchasing relationships. Our Engine for Life Warranty is included with the purchase of every vehicle. Your engine is covered for as long as you own your car. We are locally- and family-owned AND we sell great cars. We run a Pay It Forward campaign called Clawson Cares. We have given back to Veterans, the Clovis Unified School District teachers, the Community Food Bank, Fresno State Athletics, local pet adoption agencies and the Leukemia & Lymphoma Society as well as several local sports teams. We see purchasing a new or pre-owned Honda as more than just a price on a window. It’s a commitment we make to giving you the best experience possible. We know our customers are educated about the vehicle they want, and we work diligently to get them the right vehicle at the right price. Our wonderful employees at Clawson Honda are excited to meet you and build what we hope will be a long-lasting relationship. You can visit us today at 6346 N Blackstone Ave, Fresno, CA 93710. We are ready to help you find your next vehicle!